1910	Okfuskee	54N3900E1180003	  Missouri Valley Br. 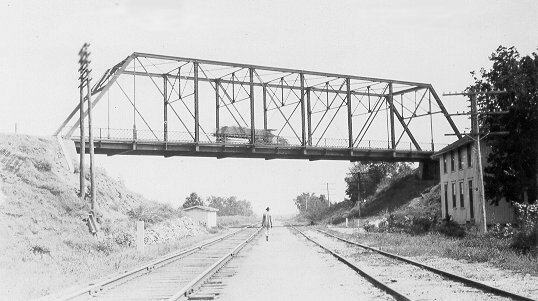 Near Weleetka in Okfuskee County, shrouded in deep brush, stands the sole double-intersection Warren pony truss, built in 1910 by Missouri Valley Bridge and Iron. Described as a quadrangular or sometimes a lattice truss, this type again showed engineers' interest in modifying a standard form. In this case two sets of diagonals work to reinforce each other. The diagonals that parallel the near end post are in compression, being somewhat heftier members, while the alternate diagonals are in tension, meaning lighter and more flexible ones. The diamond shaped pattern in the web caused by the intersecting diagonals gives the bridge its strength. 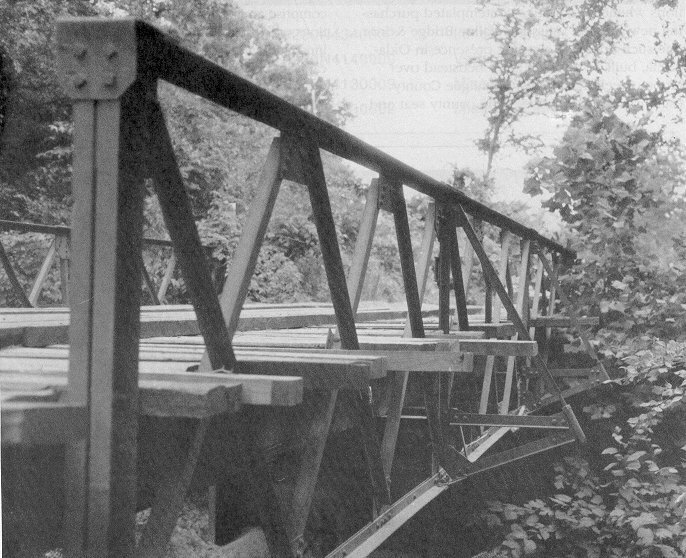 This modest 45-foot riveted span, composed of angles, may number among a small group of its type still remaining on the nation's roads (Figure 58). Figure 58. Bridge 54N3900E1180003 is Oklahoma's only double-intersection Warren pony truss. Okfuskee County acquired this riveted span in 1910. Visible in the photograph are outriggers which strengthen the floor beams.